Whether your visit is brief or extended, during summer or winter, Helgoland has a special charm during every season. The island has something in store for every guest: culinary treats, duty-free shopping or the theme routes (find the free brochure at the tourist center) around themes of culture, history and nature. 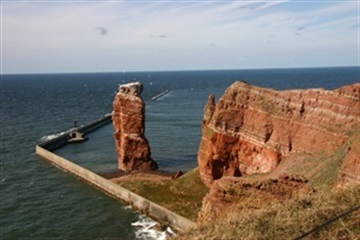 Helgoland offers more than just beach vacations. 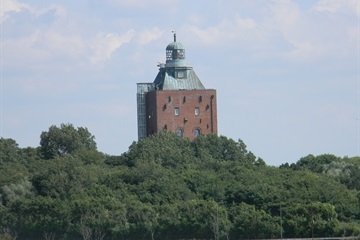 The island of Neuwerk technically belongs to the city of Hamburg and is situated just north-west of Cuxhaven. It is a naturally-formed island in the middle of the Wadden sea. During low tide, you can reach the island by foot across the mudflats (ca. 2.5 hours) or by Wadden wagon (ca. 1.5 hours). During high tide, a ship operates between the mainland and the island. The Neuwerk beacon is the oldest structure on the German coast, dating back to 1300. The currently 40 islanders live of agriculture and tourism. The neighboring dune island of Scharhörn is an important habitat for both breeding and migratory birds. The island is well-known for its tern colony – among the largest in the North Sea region.